It has now been one month since the 7.8-magnitude earthquake which rocked Nepal, and the impoverished nation is still reeling. Many of the hundreds of aftershocks, with magnitudes as high as 7.3, might be considered major earthquakes in their own rights, and have left the nation gripped by fear. The small village of Langtang, a popular trekking destination north of Kathmandu, was described by the BBC as the “worst-affected” village in Nepal. The entire village was buried by falling rock and ice, with only one home left standing. A German friend, en route to Langtang when the quake struck, spoke of the many minor decisions that morning which may well have saved her life. A high risk of landslides makes the road north from Kathmandu uncertain at any time of year. Having left the capital in the early morning, the Jeep carrying my friend had barely passed the most dangerous section of the road when the earthquake hit. Several local women on the road ahead suddenly began screaming and falling to their knees, and it took my German friend a few moments of stunned incomprehension before she realised that the earth was shaking. As the first rocks began falling from the mountain above and the women began to run, my friend’s quick-thinking local driver saved the lives of his passengers by accelerating hard through the turns to a place where the mountain rose less steeply above them. Within ten seconds, she says, the road behind them had been swept away by the falling rocks. Before long, with the rockslides thundering down on all sides, theirs was the only section of the road that remained untouched. The dust rose to fill the valley, and the small group waited in fear that their section of the road would be the next to fall. For hours they waited there with the local women, who cried and prayed for their children left at home in the villages. As the aftershocks and rockfalls slowly began to subside, the group decided to leave the Jeep and continue on foot. My friend describes the terror and uncertainty of clambering with her backpack over expanses of fallen rock until the small group safely reached the town of Dhunche. There she stayed in a refugee camp with 300 local people and 40 or 50 foreigners, until her helicopter evacuation to Kathmandu five days later. An English friend was caught in Kathmandu at the time of the earthquake, and has been working to raise awareness and funds for the people of Nepal. The small village where I once lived was only 35 kilometres (22 miles) from the epicentre of the quake. 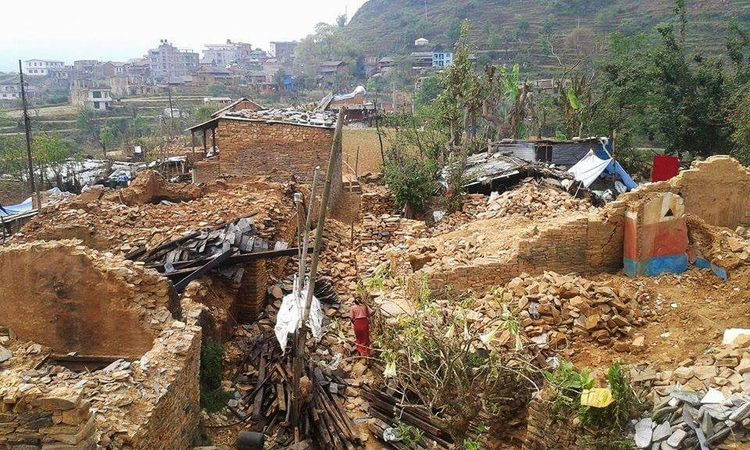 Incredibly, though dozens of homes were damaged and destroyed, no casualties were reported in the village. Of all the stories to emerge from the disaster, perhaps the most sobering and the most relevant to my own work with The Human, Earth Project is that of human traffickers taking advantage of the shattered nation to lure an increased number of victims into Indian brothels. 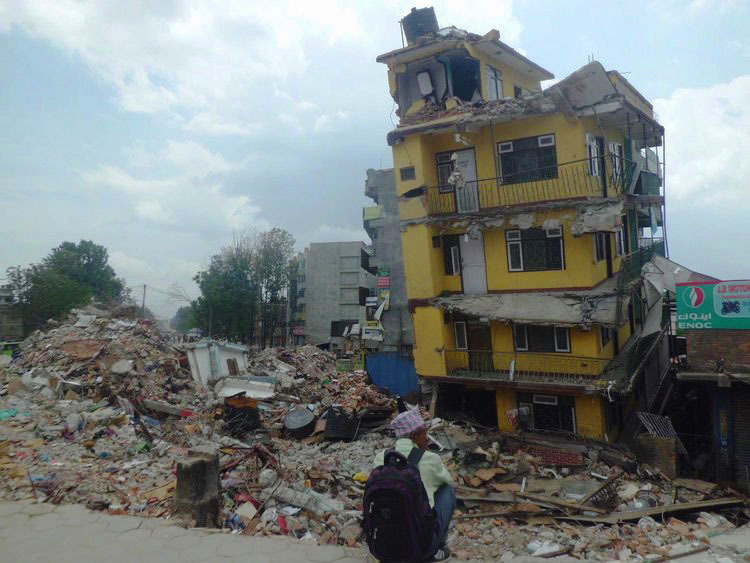 Nepal now takes its first steps on the long, uncertain road to recovery. For the trafficked girls and women, however, the nightmare has only just begun. Subscribe here to receive all the stories from The Human, Earth Project.